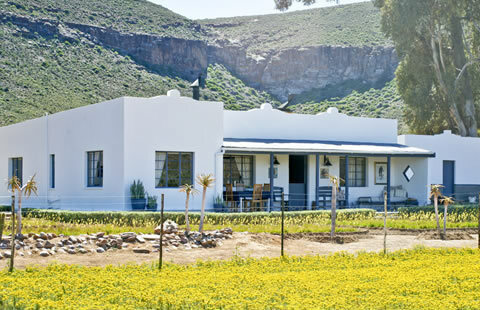 Kareeboom Farm House coming soon! 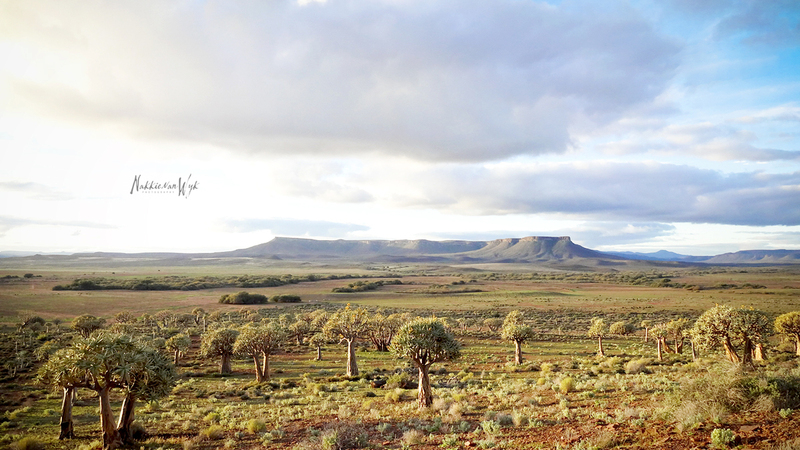 The biggest quiver tree forest in the southern hemisphere is found here, at Gannabos. 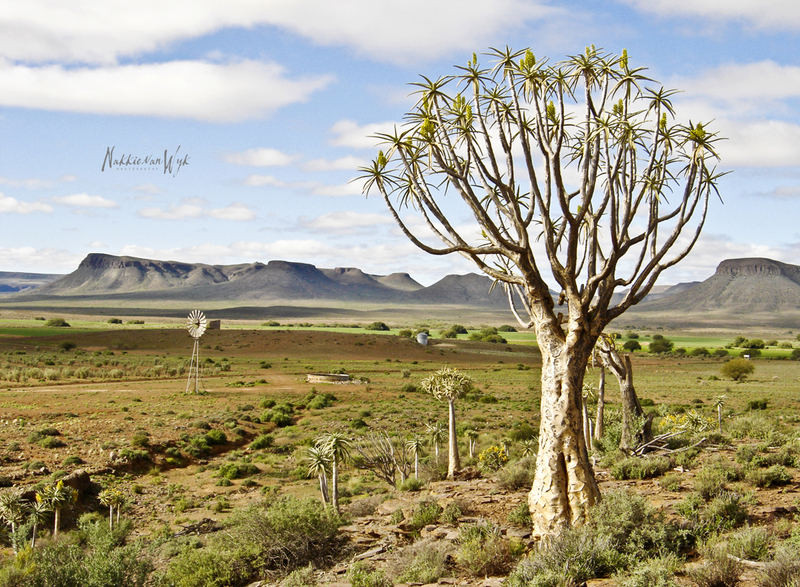 The quiver tree or "Kokerboom" is one of the most interesting and characteristic trees. These trees usually grow detached, but in some areas the plants grow in larger groups and therefore form a forest. 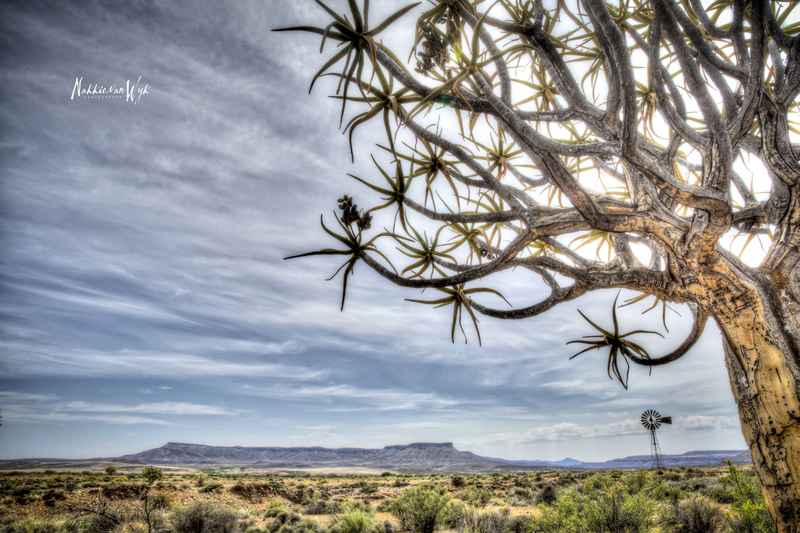 The quiver tree is not a tree at all. It is an aloe plant. 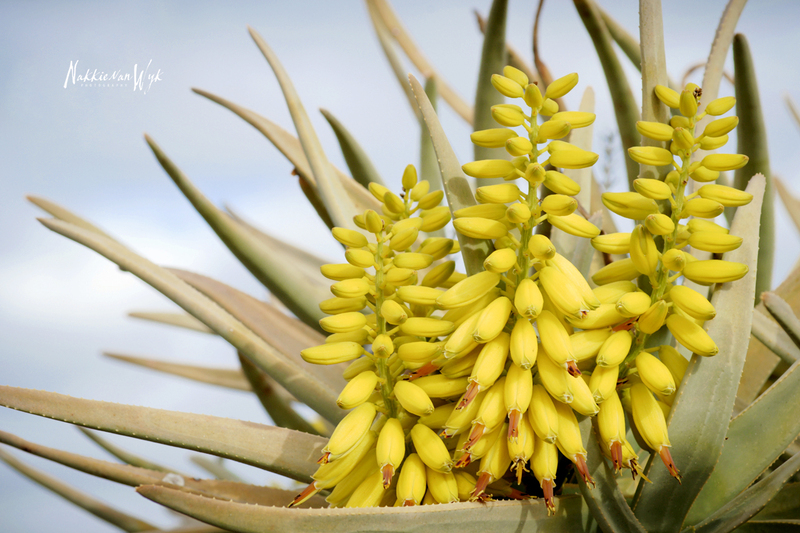 The botanical name is ALOE DICHOTOMA. 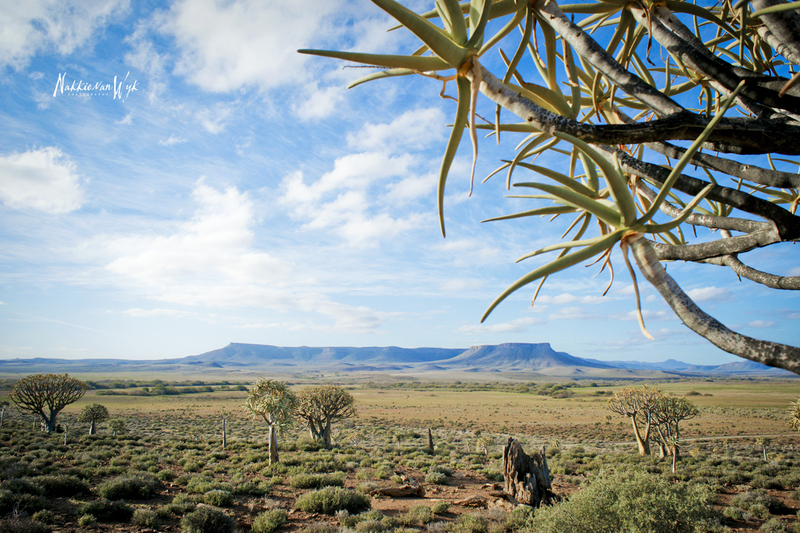 Aloe dichotoma is one of three quiver tree species, the other being Aloe pillansii (Giant quiver tree) and Aloe ramosissima (Maiden quiver tree). 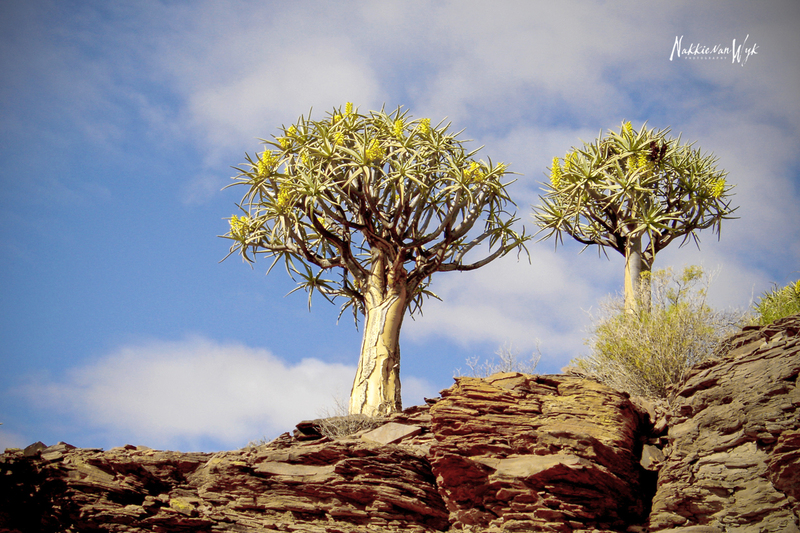 The plant is called a "Kokerboom" because some Bushmen and Hottentot tribes used the tough, pliable bark and branches to make quivers for their arrows. 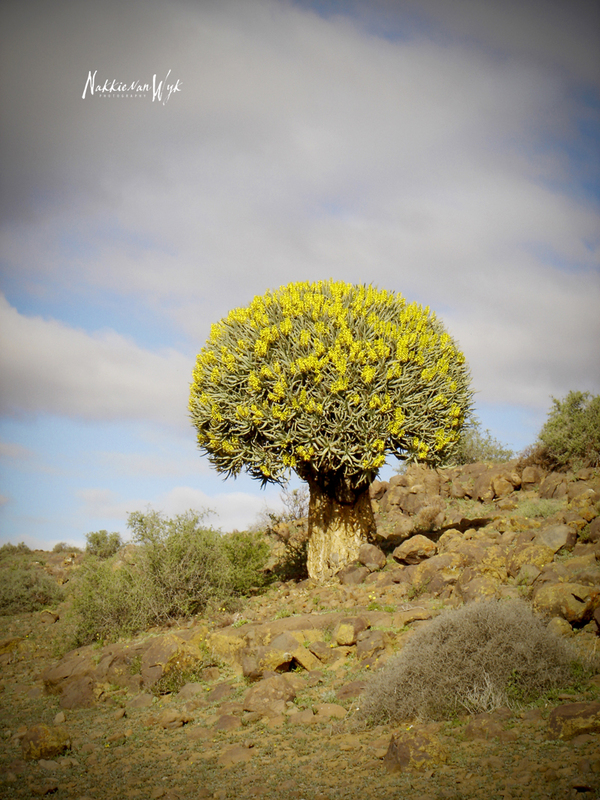 The quiver tree is a stout tree, that grows up to 9 meters high with a smooth trunk which can be up to one meter in diameter at ground level. The leaves are greyish-green and the flowers are bright yellow. The botanical name. 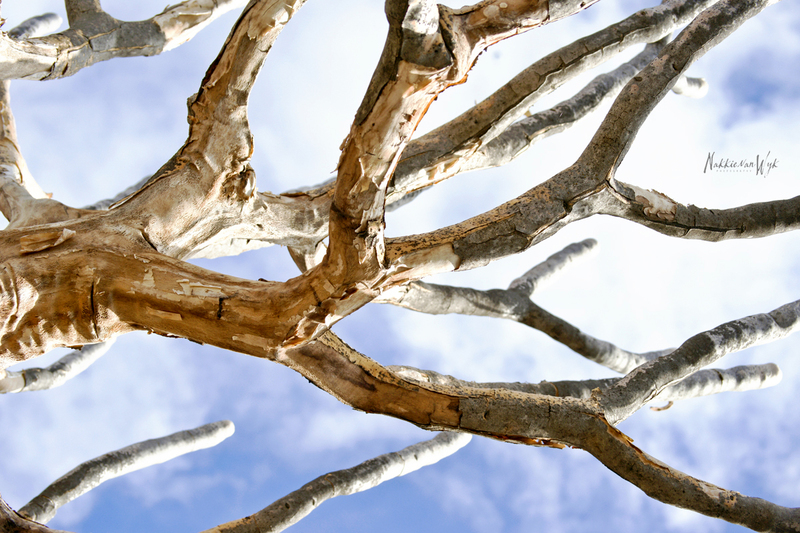 Dichotoma, refers to the forked branches of the plant. 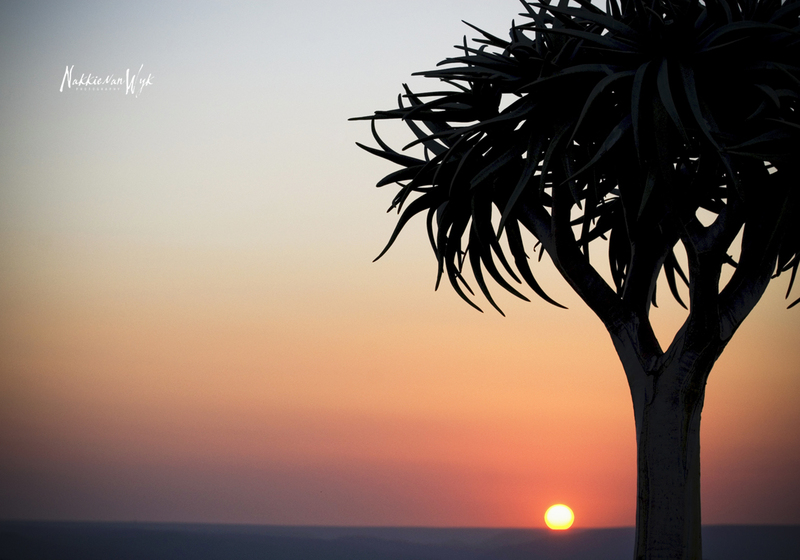 Because the quiver tree is an aloe, it has fibrous wood. 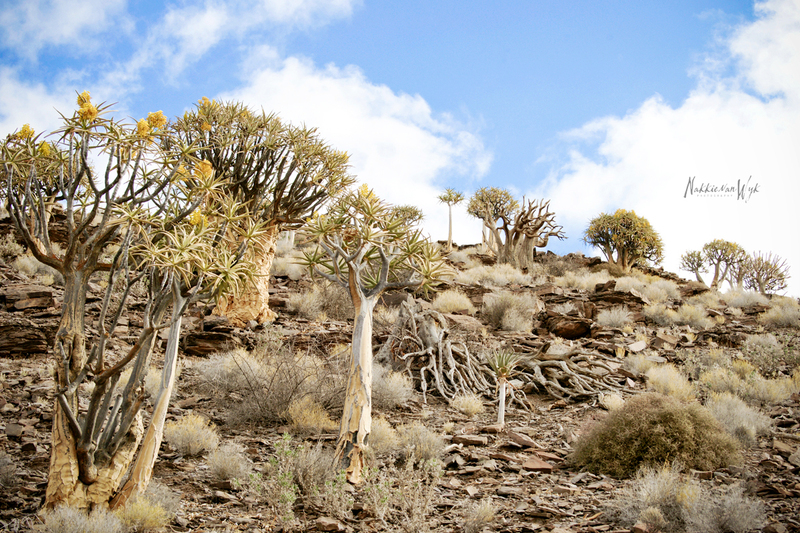 Like all succulents it has developed in a specialized way to adapt to erratic and little rainfall. 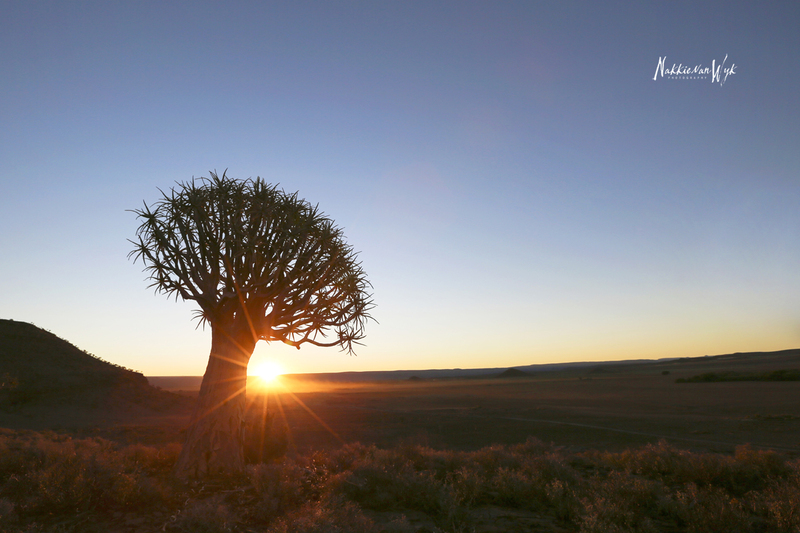 The quiver tree soaks up water and stores it in its succulent leaves. 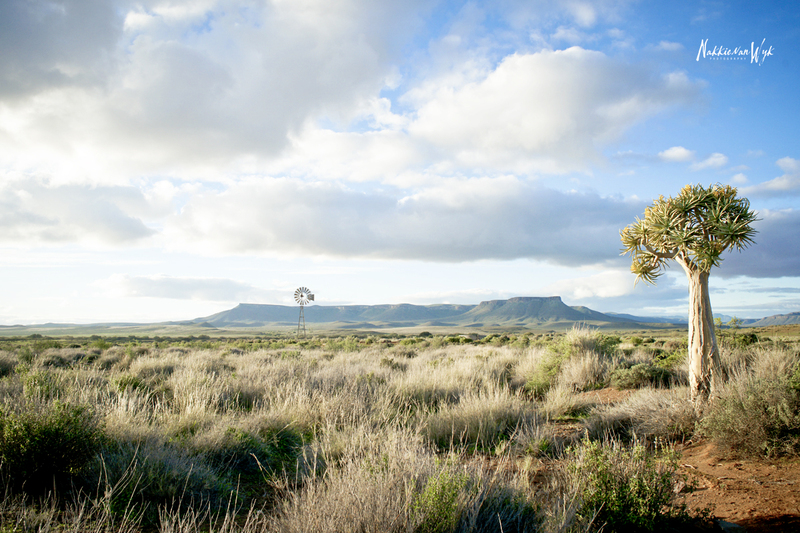 Quiver trees prefer rocky, well drained soil habitats and occur in summer and winter rainfall regions. . 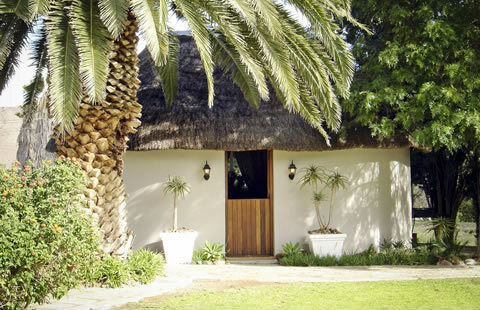 The Bushmen and Hottentots tribes used to cut the trunks into squares to construct walls. Water was then fed into the fibrous wood from a tank placed at the top to store water. The trees in the forest are natural. No trees have been planted by humans. It is impossible to determine the quiver tree's age through trunk growth rings, as with other trees because of the fibrous center. 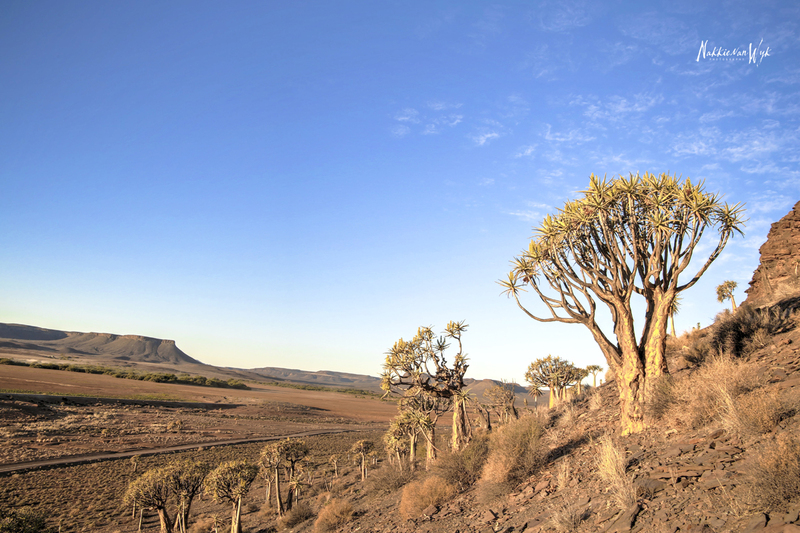 The estimated age for these trees range between 150-250 years for the common quiver tree and more than 380 years for the Giant quiver tree. With only periodic successful recruitment events, we as humans only have a very small window during our lifetimes to view quiver tree life cycles. The potential impacts of climate change, such as reduced rainfall or more erratic rainfall, makes it difficult to assess the population growth for the future. Scientists are attempting to circumvent the problem through computer modelling, growth rate monitoring and age estimates. 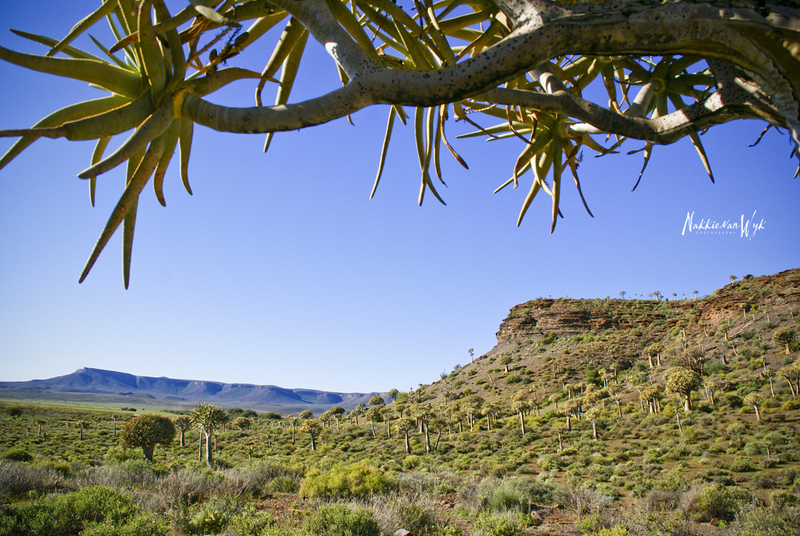 There are various factors that can affect the health of quiver trees. most are natural factors. For example porcupines stripping bark from the main stem, baboons breaking branches in the canopy, pest infestation, trees uprooted during strong winds or under their own weight when soil is moist and soft. 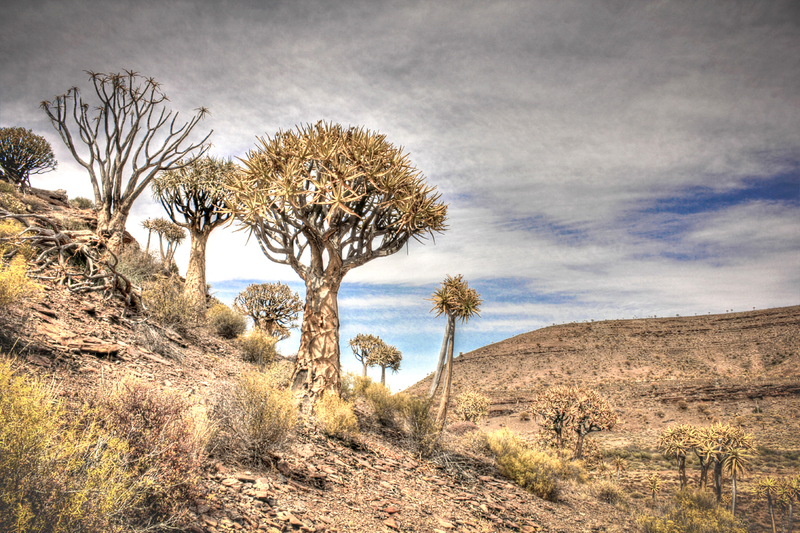 Quiver trees are known for amputating some of their own branches when stress is experienced. For example, under long drought conditions, a portion of the tree is sacrificed for the rest to survive. 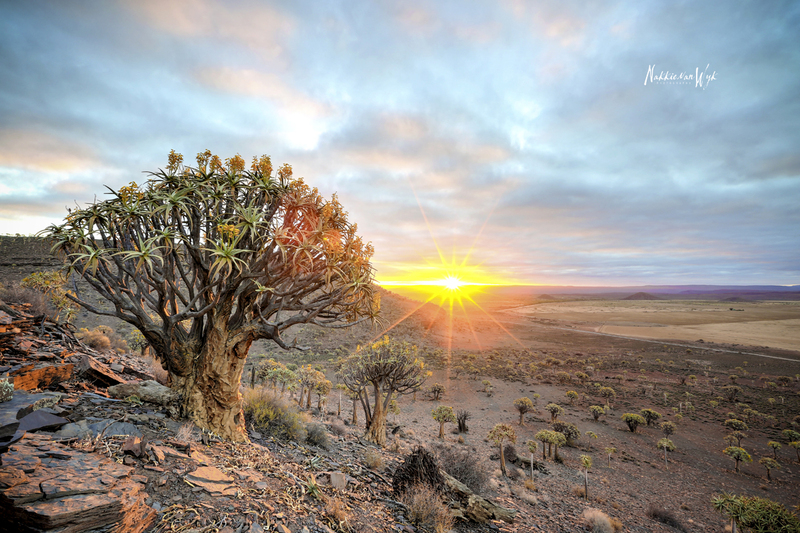 The species Aloe dichotoma has been known to scientists since 1685, when it was discovered during Governor Simon van der Stel's expedition to Namaqualand in search of copper. 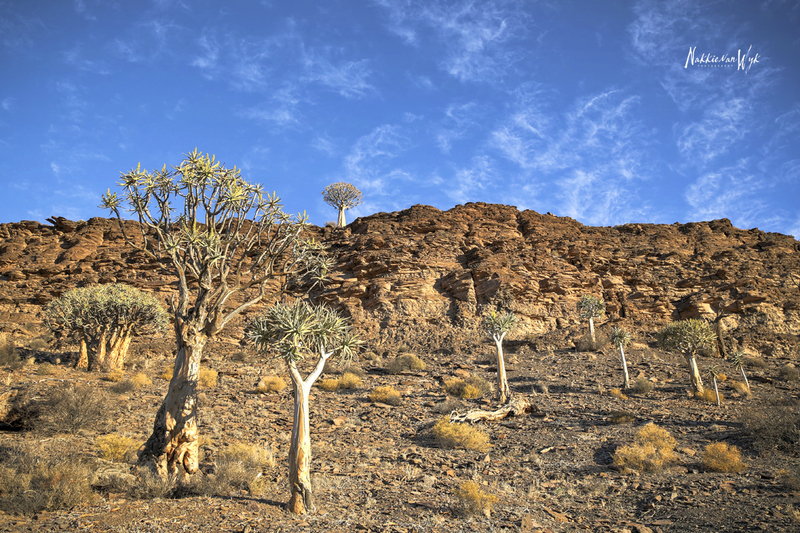 Quiver trees, like many other plants adapted to the more dry and barren environment, and now only need a little bit of moisture to survive. Land management practices may also be a big influence on the consistent growth of these trees. It is therefore important to understand all the pressures the quiver trees are exposed to form a proper understanding of the species. 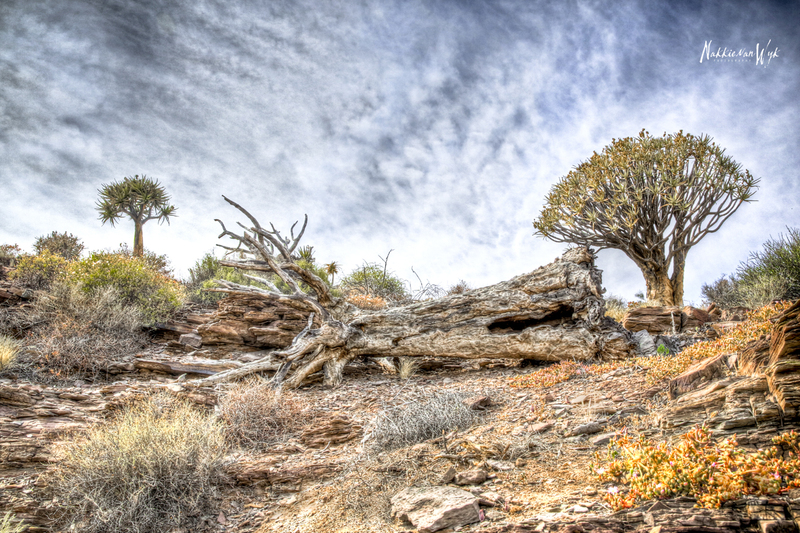 The trees often encountered growing at the most precarious positions, such as on the edges of canyons, possibly relishing in the cool updrafts of wind. Growing on these edges, the rocks anchor the plants which have a spread-root-system. They have their first flowers when they are about 15 to 25 years old. The flowering-season is in the winter during May, June and July. This is an extremely beautiful time to visit the farm. Swarms of birds and locusts are drawn by the sweet nectar of the quiver tree's flowers, and baboons have been known to strip off the blossoms in search of the liquid. Sunset in the forest that will take your breath away and bring your mind, body and soul together.